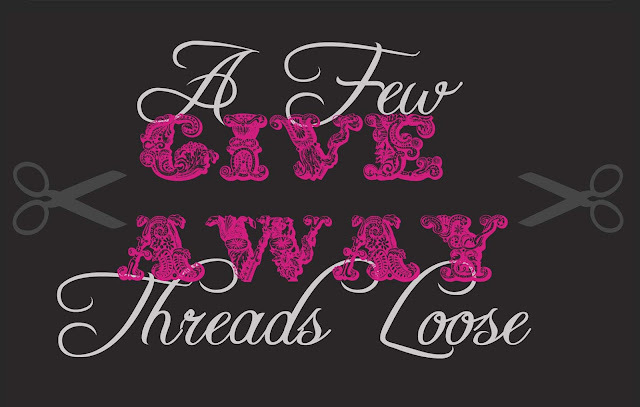 A Few Threads Loose: I love you all so much...want some free patterns? Hello all. To my U.S. readers, happy fourth of July! I'm really excited today to see that A Few Threads Loose has gotten up to 400 followers through Google! I never thought when I set out to chronicle my sewing adventures that I would meet so many great people and find so much encouragement and support. You're all awesome! To say thank you, how about we have a giveaway? 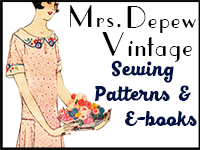 I usually offer one of my newest patterns as the giveaway prize, but since this isn't about me, the winners will get to choose any 2 digital patterns from Mrs. Depew Vintage. Winners, you say? Yes my dears, there will be two of you. To enter the giveaway, just leave a comment on this post with which two patterns you would like to win. For extra entries you can do the usual stuff like mentioning the giveaway on your blog or facebook, following on facebook, bloglovin' or other if you don't yet, etc. Just be sure to leave me a comment for the extra entry. I'll announce the winners this Saturday the 7th. Good luck and thank you so much for reading my blog! Oh, and +1 since I not only follow the blog, but also follow on Facebook. Happy day of followers to you!I do love all of your patterns......but the french slip and french sundress are on the top of my list!!!! I agonized over the choices! I think I'd have to go with # 169 and # 1121. 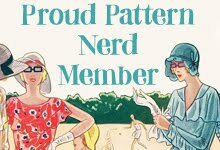 Congrats on the followers, I know that I love your blog and all of your patterns. I am still going slowly at this sewing stuff, but am definately going to be getting quite a few more of your patterns. (the 40s bathing suits) because who doesn't need that bathing suit. I love the marylin style one too, but I think more people are doing that one and this one has a bit more coverage. What a great giveaway! I fell in love with patterns 3007 and 1126. Congratulations and thank you! Thanks so much for this giveaway, I hope I did the entries right. If I didn't I am sorry. Great giveaway! Since I still need more tops, I'd love the button-front halter top #1006, and the ruffle tap pants #166 are so cute. I'm one of your newest followers by the way, so I want to say that I really love your blog, it's very inspiring! the 1930s knit bathing suit! because i would just die to wear something like this! OMG to knit these would be awesome! next year i would sport them at our local beach!!!!!!!!!!! im in love! You have so many wonderful patterns it's so hard to choose. 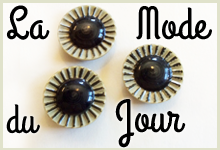 Right now I'm eyeing the 1930's French Scalloped Slip and your newest 1950's draped blouse. Congratulations on achieving such a following! Nice to know that there are many fellow stitchers out there. And happy Fourth of July. What a grand giveaway! As I am currently exploring my ability to make home-made undergarments, I'd love the teddy-camiknickers and the one/two-piece bathing suit. 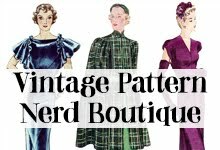 While I have yet to try one of your patterns, I can't wait to start! I do love the 1930s Evening Gown (would be perfect for the Navy Seabee Ball in March and plenty of time to put it together) and the One Piece Bathing Suit. Thank you for a terrific giveaway and for your terrific blog!!! You are the one that's awesome. Well done Anna! Yay! I love your patterns! I would love to try the wrap around nightgown and pajamas next! I can't thank you enough for the inspiration you have given me to try my hand at sewing! Well done! Congratulation :) My favorites from your shop are the pin-up bra and the French corselet! Congrats on a well done blog! I have been following you from the beginning. My choices would be the 1920's flapper dress #3001 and the 1940's French Ladies Jacket Draft. I have never sewn from a draft before so I think that could be quite an adventure! I love the 40's style shorts and the 50's draped blouse. But really I love them all! I see everybody is using the extra entries offer, so I 'll join. oh so hard to choose. I love 601 the french 1930s pjs, and well any of the slips really. PS already like both your facebook pages. That's so hard to choose! OK, the 1950's French sundress #3005 and the 1930's slip #169 if I must! I also follow on Facebook. After a long time, I finally chose the 1930's Teddy #1056 and Evening Gown #1125. I think it will be great to wear them together. You have so many beautiful patterns, it's so hard to choose! oh I love your patterns. maybe this time I would go for the bathing beauties and the 1930's french bra. congrats! Awesome! I'd love to win the beach bustier and the 1950's Halter Top Blouse. 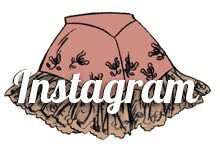 well done on such an amazing following, I'd love to have a go at sewing 1930's Evening Gown 1124 and the 1950's Ladies' French Draped Blouse. 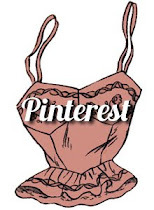 I would choose the pin-up bra pattern and the french sundress! THanks for a great giveaway! Yay giveaway! I love the 1950's Beach Bra Halter Top and the Vintage Style Sewing Pattern 1950's Inspired One Piece Bathing Suit. We have a tropical honeymoon coming up. I would love to wear both! Without fail, the 1950s Inspired One Piece and 1940s style belts and cummerbund. Crossing fingers!!! oh, would my two girls each love one of those! the 1930 jacket and skirt suit for my daughter sondra and the 1930 night gown for my daughter elizabeth. i do hope i win. but I love all the other stuff in your blog & store! 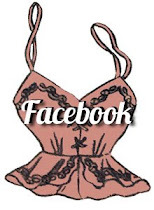 I love the vintage pin up bra and the one piece swim suit! Thank you for such a wonderful blog and giveaway! I've loved the sew alongs that you've done and the wealth of knowledge you've shared! I'm already a follower using the RSS feed thingy. I mentioned your giveaway on my blog! And congrats on all the followers, you certainly deserve them! I just love your blog! Wow ,there were 7 pages of patterns to choose from- definately not an easy task. . .
Congratulations to you on creating such a following! The french teddy camiknickers and the french slip. I adored the patterns I bought before. I would love to win the 1930s bell sleeve blouse (#1126) and the 50s inspired 1 piece bathing suit (#1001). It's such a hard decision though :) Thanks for the giveaway! Wow! So many lovely items on the website! 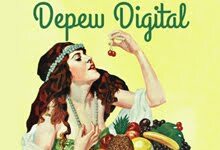 Difficult choices, but I would be quite happy with either "Vintage Sewing Pattern 1950's Ladies' French Draped Blouse Print at Home Depew 3007" or "Vintage Sewing Pattern 1940's Ladies Bra and Bandeau Printable PDF Depew 2005". Thank you! If I won I would choose the 1950's Halter Top Blouse pattern and the 1950's Ladies' French Sun Dress.